The Snowflake Inn Resort Motel is 76 steps away from the beautiful white sand of Clearwater Beach and only 20 minutes from Tampa Airport. 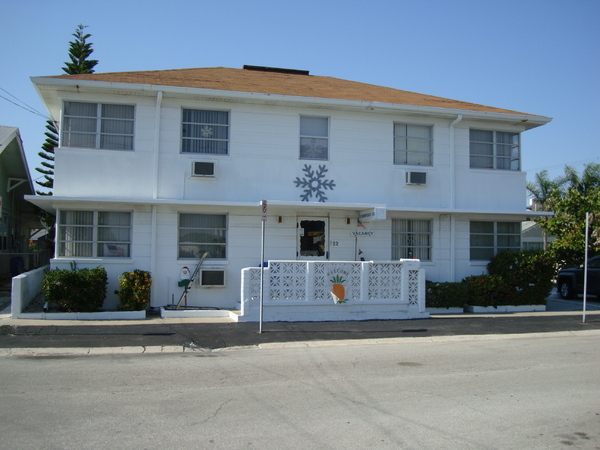 The Snowflake Inn Resort Motel is only 6 apartments and is casual, cozy, clean, Mom & Pop type place to stay. Our place is similar to staying in Breezy Pt. NY, Fire Island,NY or Cape Cod, Mass. Low key-comfortable-acessable to all Clearwater Beach has to offer. We have plenty of space for a party or get to gether on the patio areas. We have had weddings, birthday parties, funeral gatherings, engagement parties, etc. We have 2 BBQ's and 6 tables in the back and side yard. We have an outdoor shower , clothes line and chairs to go to the beach. Bring your beach towels, sun tan lotion and snorkeling equipment. We even have novels if you forget yours. 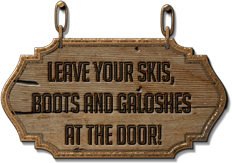 Snowflake Inn past customers know to pack light and only bring casual attire. We welcome those who are from the USA, South America, Canada, Europe, etc. especially those who love the beach as we do. If you are Snowbirds and any Snowflakes (those who drop into Florida but have not made a commitment to stay for a long time yet.) you will be comfortable here. Swimming, snorkeling, shelling, fishing, watching the sunset on the Gulf, golfing, bike riding, tennis, walking the beach, and dolphin watching are just a few things that Clearwater Beach has to offer. 76 steps from the Gulf of Mexico and the Palm Pavilion, a block from the Rockaway Grill, 1 1/2 blocks from the tennis courts, City 75' Pool, Library & the Recreation Center, 4 blocks from Pier 60 and a straight 20 minute ride on Route 60 from either Tampa Airport or St. Petersburg / Clearwater International Airport. Only an 1.5 hours to Disney World and 45 minutes to Busch Gardens or Hard Rock Gambling Casino.